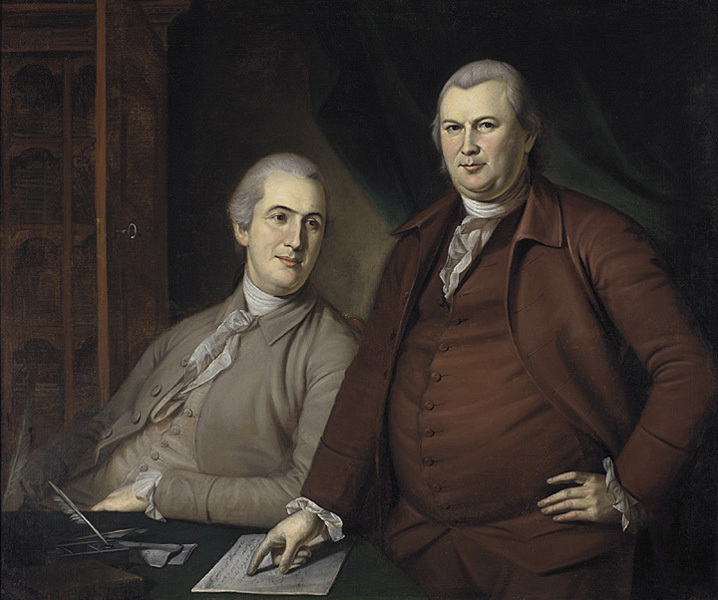 In 1754, Mr. Morris formed a mercantile business partnership with Mr. Thomas Willing. The firm soon became the most extensive importing-house in Philadelphia, and rapidly increased in wealth and standing. After the passage of the Stamp Act and the Tea Act, and non-importation agreements became general in the commercial cities of the colonies,4 Willing and Morris, notwithstanding the great loss of business it would occasion, not only cheerfully entered into the plan, but did all in their power to induce others to do likewise. But it was not until the tragedy at Lexington aroused the fiercest indignation of the colonists, and extinguished all hope of reconciliation, that Mr. Morris took an active part in public affairs. 5 That event called him forth, and in November of the same year, a he was elected by the Legislature of Pennsylvania, a delegate to the General Congress. His business talents were at once appreciated in that body, and he was placed upon the "secret committee,"6 and also a committee to devise ways and means for providing a naval armament. In the spring of 1776 Congress chose him a special commissioner to negotiate bills of exchange, and to take other measures to procure money for the Government. Mr. Morris was again elected to Congress on the eighteenth of July, 1776, fourteen days after the Declaration of Independence was adopted; and being in favor of the measure, he affixed his signature thereto on the second of August following. His labors in Congress were incessant, and he always looked with perfect confidence to the period when peace and independence should crown the efforts of the patriots. Even when the American army under Washington, had dwindled down to a handful of half-naked, half-famished militia, during the disastrous retreat across New Jersey at the close of 1776, he evinced his confidence that final success would ensue, by loaning at that time, upon his individual responsibility, ten thousand dollars. This materially assisted in collecting together and paying that gallant band with which Washington re-crossed the Delaware, and won the glorious victory at Trenton.7 Many instances of a similar nature are related, where the high character of Mr. Morris enabled him to procure money when the government could not, and his patriotism never faltered in inducing him to apply it to the public benefit. 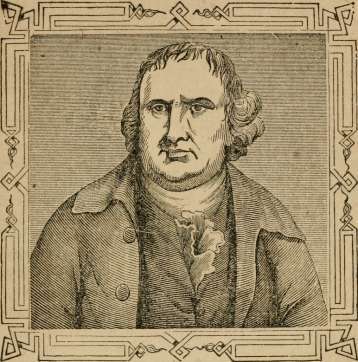 After the conclusion of peace, Mr. Morris served twice in the Legislature of Pennsylvania ; and he was a delegate to the Convention that framed the Constitution of the United States. He was elected a Senator under that instrument, and took his seat at the first meeting of Congress in New York to organize the government in accordance with its provisions. In the selection of his cabinet, President Washington was very anxious to have Mr. Morris Secretary of the Treasury, but he declined. Washington asked him to name a candidate, and he at once mentioned General Alexander Hamilton. 1 On being chid by his father for his tardiness in learning, he remarked: "Why, sir, I have learned all that he could teach me." 2 A ship having arrived from Liverpool, consigned to Mr. Morris the elder, he invited several friends to an entertainment on board. When they retired, a salute was fired, and a wad from one of the guns hit Mr. Morris upon the arm. The wound was severe, mortified, and in a few days terminated his life. 3 As an evidence of the general good conduct of Mr. Morris, it is related, that Mr. Willing, on his death-bed, said to him : "Robert, always continue to act as you have done." 4 One of the measures adopted by the Colonists to force Great Britain to do them justice, was that of American merchants everywhere agreeing not to import anything from the mother-country. This had a powerful effect upon Parliament (for in the lower House the mercantile interest was strongly represented) and led to the modification of several stringent measures. These agreements, of course, seriously affected merchants here, and therein their patriotism was made peculiarly manifest. 5 It is said that Mr. Morris, and a number of others, members of the St. George's Society, were at dinner, celebrating the anniversary of St. George's day, when the news of the battle of Lexington reached them. Astonishment and indignation filled the company, and they soon dispersed. A few remained and discussed the great question of American freedom: and there, within that festive hall, did Robert Morris and a few others, by a solemn vow, dedicate their lives, their fortunes, and their honor, to the sacred cause of the Revolution. 6 The duties of the secret committee consisted in managing the financial affairs of the government. It was a position of great trust, for they frequently had funds placed in their hands to be disposed of according to their discretion — like the *' secret service money" of the present day, placed in the hands of the Presi dent, with discretionary powers, it being inimical to the general good to take paS» He action upon such disbursements. 7 When Congress fled to Baltimore, on the approach of the British across New Jersey, Mr. Morris, after removing his family into the country, returned to, and remained in Philadelphia. Almost in despair, Washington wrote to him, and informed him that to make any successful movement whatever, a considerable sum or money must be had. It was a requirement that seemed almost impossible to meet. Mr. Morris left his counting-room for his lodgings in utter despondency. On his way he met a wealthy Quaker, and made known his wants. "What security can'st thou give ?" asked he. "My note and my honor," promptly replied Mr. Morris. The Quaker replied: "Robert, thou shalt have it" —It was sent to Washington, the Delaware was crossed, and victory won! 8 At the time Washington was preparing, in his camp upon the Hudson, in Westchester county, to attack Sir Henry Clinton in New York, in 1781, Mr. Morris and Judge Peters of Pennsylvania were then at headquarters. Washington received a letter from Count de Grasse, announcing his determination not to sail for New York. He was bitterly disappointed, but almost before the cloud had passed from his brow, he conceived the expedition against Cornwallis at Yorktown. "What can you do for me ?" said Washington to Mr. Peters. "With money, everything, without it, nothing," he replied, at the same time turning with anxious look toward Mr. Morris. "Let me know the sum you desire," said Mr. Morris ; and before noon Washington's plan and estimates were complete. Mr. Morris promised him the amount, and he raised it upon his own responsibility. 9 In consequence of some old claims of Massachusetts to a large portion of the territory of the State of New York, the latter State, in 1786, in order to settle the matter, ceded to the former more than six millions of acres, reserving, however, the right of sovereignty. Massachusetts sold the larger portion of this tract to Oliver Phelps and Nathaniel Gorham, for one million of dollars : and in 1790, they in turn sold to Mr. Morris 1,204,000 acres, for sixteen cents per acre. He afterward resold this tract to Sir William Pultney. The original purchasers from Massachusetts, unable to fulfil their contract, surrendered to the State a large tract, to which the Indian titles had been extinguished. This tract Mr. Morris bought in 1796, and after selling considerable portions lying upon the Genesee River, he mortgaged the residue to Wilhelm Willink, of Amsterdam, and eleven associates, who styled themselves the "Holland Land Company." Mr. Morris was unable to meet his engagement, and the company foreclosed, and acquired full title to the land. They opened a sales office in Batavia, Genesee County, which now exists; and they still own large tracts of land in Western New York. 10 In 1769, Mr. Morris married Miss Mary White, sister of the late venerable Bishop White, of Pennsylvania.